Google’s famous Android operating system for handhelds, which, despite providing some pretty interesting features as far as the level of integration with various Google services is concerned, is still rather far from having reached the level of popularity enjoyed by other similar operating systems, such as Symbian or Windows Mobile. However, its potential is much more impressive, given the fact that it can be easily ported to run on x86 systems. 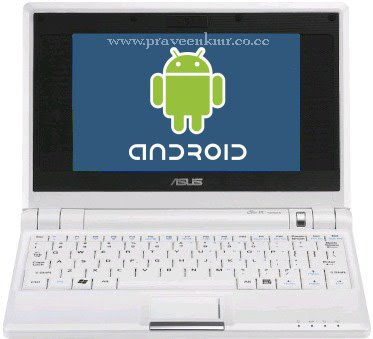 How to Run Google’s Android OS on Your Windows PC ? Download the two parts of the Live CD .iso file from the LiveAndroid web page. Combine the two segments into a single one using a specialized application (the projects’ authors recommend HJSplit for the task). Burn the resulting .iso image onto a blank CD using your favorite disc burning application. Reboot your computer (make sure that the CD-ROM drive is placed ahead of the HDD in the list of boot devices). Wait for it to load (getting past the Android Live CD splash screen might take a while) and then voila! You’ve gotten the Google Android operating system running without any problems on your computer. Remember that this LiveCD is aimed mostly at developers, who actually have to create apps for this operating system, so normal users won’t benefit too much from it, apart from the possibility to take a closer look at just what they are to expect from a Google-based OS.